Winter on Lesvos, the weather has taken a turn for the worst. 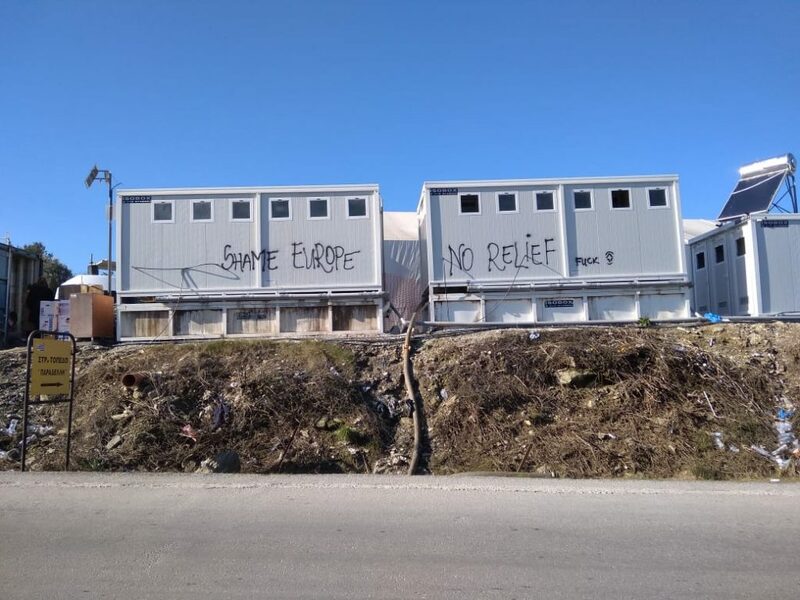 In Moria, the main camp on the island, many people—among them recent arrivals—live in tents with little protection from the cold and rain due to a shortage of container “Isobox” housing. Adjacent to the camp, a sprawling network of tents has been set up in an olive grove to house over a 1,400 people with little access to running water or other facilities. While many people have recently been transferred to the mainland, Moria remains severely over capacity while people face increasingly inhumane and inhospitable conditions. In addition to daily food distribution, we provide weekly food boxes to support over a hundred people living in Mytilene that do not receive other food assistance. These boxes include dry goods as well as fresh vegetables, and constitute a more agentic form of food support in which people can decide to an extent what they want, and cook what they like. NBK is not only about providing food for people, but also about respecting each other as individuals and building autonomous structures based on relationships of solidarity. We are on Lesvos because we believe that Fortress Europe and its borders must be abolished. Through a praxis based on mutual aid and solidarity, we take a stand against border policies and the suffering they are causing.